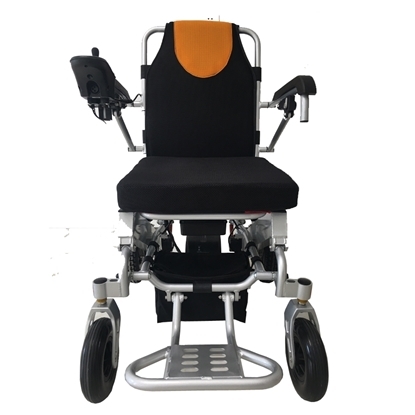 This Power wheelchair is designed for handicapped, patient, old people,etc. it is made of high-strength aluminum alloy. Two brushless imported from Taiwan, that can load heavy people and has long time. There are four anti-shock system that make for a smoother, people drive comfortable especially on the rough road. We also have electromagnetic brake that ensure the safety. It can fold rapidly and put into the car trunk easily. It just weight 25kg, need small power to pick up. 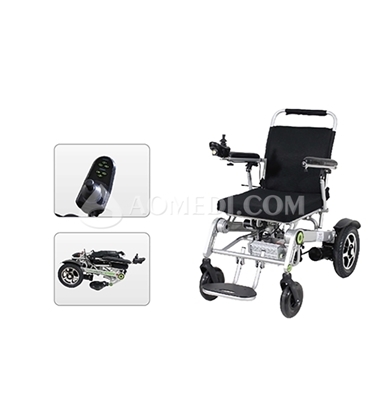 This Power wheelchair is designed for handicapped, patient, old people,etc. it is made of high-strength aluminum alloy. There are anti-shock system that make for a smoother, people drive comfortable especially on the rough road. We also have electromagnetic brake that ensure the safety. It is the new type of electric wheelchair, it is fully controlled by Phone. full-automatic folded by one button and put into the car trunk easily. Release the break on the ramp way, doesn't slide. The imported brushless motor has long life with good quality.